About "Finding the equation of a linear relationship"
We can use the points on a graph of a linear relationship to write an equation for the relationship. The equation of a linear relationship is y = mx + b, where m is the rate of change, or slope, and b is the y-intercept (The value of y when x is 0). A handrail runs alongside a stairway. As the horizontal distance from the bottom of the stairway changes, the height of the handrail changes. Show that the relationship is linear, and then find the equation for the relationship. 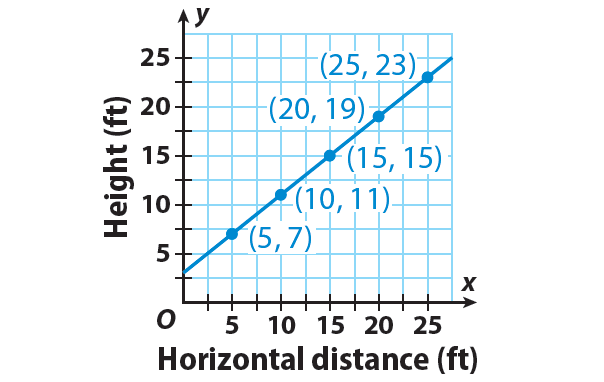 Connect the points in the graph given above. Since all of the points (5, 7), (10, 11), (15, 15), (20, 19), and (25, 23) lie on the same line, the relationship is linear. For example, let us choose (5, 7) and (10, 11). Substitute (5, 7) for (x₁, y₁) and (10, 11) for (x₂, y₂). Choose a point and use the slope to find the value of "b" (y-intercept b). To get the equation of the given linear relationship, plug m = 0.8 and b = 3 in the equation y = mx + b. 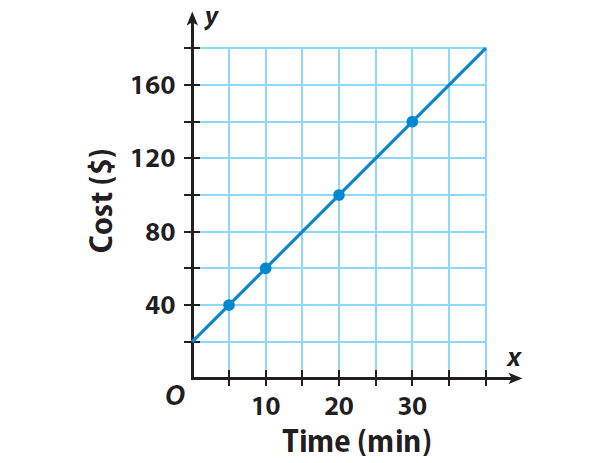 The table shows the relationship between time and cost. Show that the relationship is linear, and then find the equation for the relationship. From the table, write the points in the form (x, y). 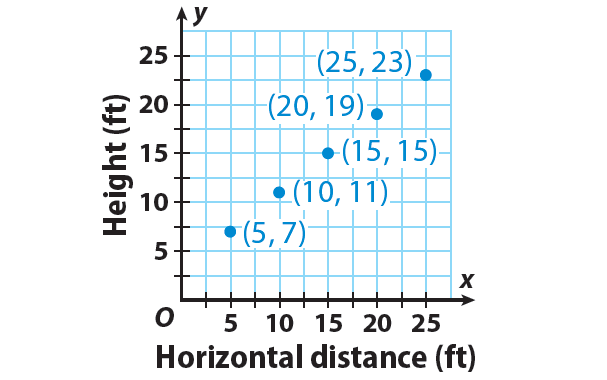 Plot all the points in a graph paper and connect them. Since all of the points (5, 40), (10, 60), (20, 100) and (30, 140) lie on the same line, the relationship is linear. For example, let us choose (5, 40) and (10, 60). Substitute (5, 40) for (x₁, y₁) and (10, 60) for (x₂, y₂). To get the equation of the given linear relationship, plug m = 4 and b = 20 in the equation y = mx + b. After having gone through the stuff given above, we hope that the students would have understood "Finding the equation of a linear relationship".